This is the most modern & beautiful way of controlling the Sun & Rain. These awnings can be opened up to their projection limits and closed right up to the wall level while giving you an opportunity to control the projection as and when required, providing full protection for your home, office or commercial premises from the Sun & Rain. The in-built spring-loaded mechanism of the arms and folding joints are made out of stainless steel & other high quality corrode resistant material. 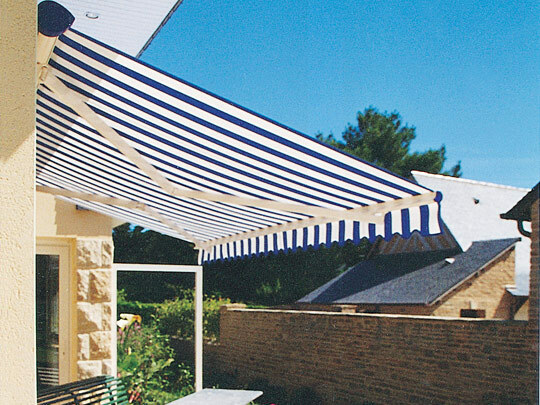 These awnings are available in three operational options - manual, electrical (sensor) and remote control. Your terrace or balcony turning into a comfortable sitting area under a smooth shade of a Discovery Re-tractable Awning. Your side entrance passage/walkway transforming into a protected area against sunlight & rain with a Discovery Re-tractable Awning. Your front entrance or windows protected against harsh sunlight and rain water beating-in with a Discovery Re-tractable Awning. 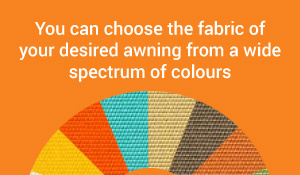 To your office or shop front to add protection from sun & rain as well as adding beauty to your premises. As a beautiful shading device from sun & rain to your restaurant to add more outdoor space which would be loved by your customers.